Everytime the subject of mascara comes up on the blog, there will be no shortage of readers who suggest their faves from Majolica Majorca. Majolica Majorca, a very popular Japanese drugstore brand from cosmetics giant Shiseido is very well known for their mascara. They are supposed to perform well, hold up a curl, stay on through a hurricane and are notoriously hard to remove. You may however, have noticed a lack of coverage of the products on my blog. The primary reason is because I can’t use a lot of their makeup, in particular their eye makeup. The shadows and all the various mascaras make my lids feel heavy and irritated. Once I worked it out, I stopped looking at the brand. Why look at something that will only irritate you eh? You see, I didn’t like Lash King when I first used it. 3 hours later, some fibres got into my eye and then I got seriously irritated. The brush is a little big, and considering that this is a mascara that promises volume and length and curl, there is a lot of fibre in it. Its only to be expected, really. There’s no other way to add length to lashes. I also found the initial formula a bit wet, clumpy and had a tendency to clump at the end of the wand in a huge blob. So if you aren’t careful, applying it was a bit of a mess. 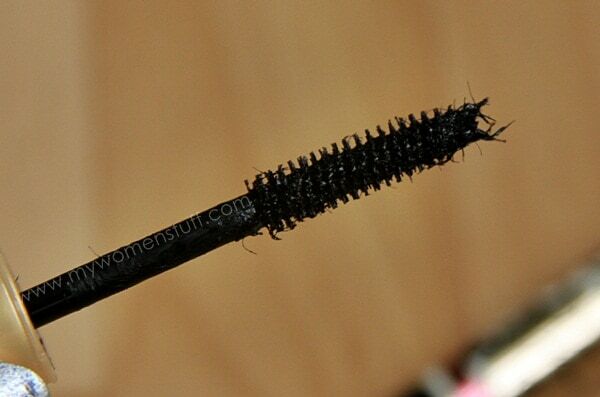 I did get into a mess most times, and my lashes had a tendency to clump together. Wasn’t terribly impressed, to be honest. However, one day on Twitter, I noticed that Ms. Candy said that her Lash King was performing better after 6 months than it was when she first got it. So, I decided to let my Lash King mascara wait. I didn’t want to trash it outright. I’m glad I let it wait. Its been about 2 months since I got it, and if I might say so, the texture of the mascara is now just so much better than it was before. Where it was always wet coming out of the tube, it is not so wet now. The slightly drier formula suits it better, I feel, and for some reason, it stopped getting too clumpy too. Yes, there is still a lot of fibre, and that glob at the end of the wand is still there, but I wipe it all off on the side of the tube and the bristles of the wand coupled with the slightly drier mascara formula just work better. The fibres also stopped falling into my eye! 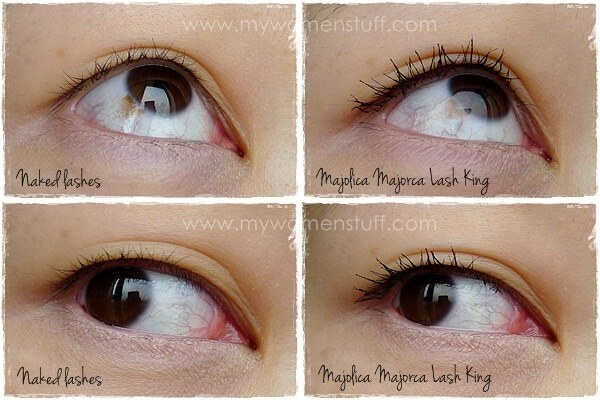 This time, 2 months later, I actually saw the benefits of the Lash King mascara. I curl my lashes beforehand and Lash King helps hold my curl all day, while adding length and some volume. Its not quite Va-Va-Voom! but it does make my lashes more noticeable, more fluttery and just make my eyes look better. It also seemed to apply more easily! My lashes almost certainly look more defined and longer, don’t they? Not by very much. I don’t get a false lashed effect but enough for me to be quite happy about it. Short lashed gals will appreciate this one. And remember my earlier statement that Majolica Majorca mascara are notoriously hard to remove? Well, this one isn’t. It removes very easily with any regular waterproof eye makeup remover and I have no problems with it at all. One more thing I noticed is that my lashes feel soft even with the waterproof formula. Sometimes, waterproof mascara make my lashes feel “crispy” if you get my meaning. This doesn’t. So I quite like that too! 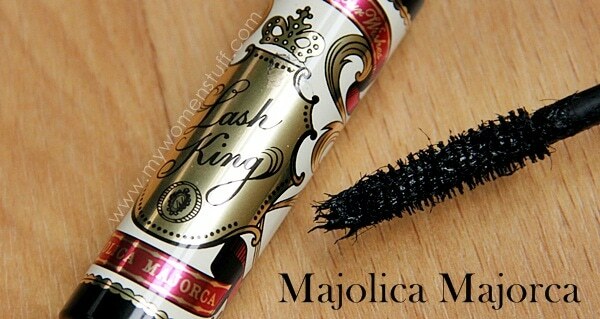 Have you tried the Majolica Majorca Lash King mascara? What did you think of it? I can’t compare it to the other formula, naturally. I used the Wing Neo something or other once before and HATED IT. It was the most horrible mascara I’d ever used, irritated my eyes and was nothing but floaty fibre. I binned it not very long after. I have in fact a long ranty draft post about it in my draft folder but lost my photos so can’t blog it 😛 But Lash King has redeemed Majolica Majorca mascara a little for me. I won’t give up my Shiseido Perfect Mascara for this one, nevermind the family business but I’m happy to use this for everyday. PREVIOUS POST: Latest IT Bag The Celine Luggage Tote : Fad or Fab? NEXT POST: Can taking probiotics cause your skin to break out and develop acne? I’ve tried mm mascara before but i dont really see any difference on my lashes (im thick lashed but straight) and i find them to be too clumpy. 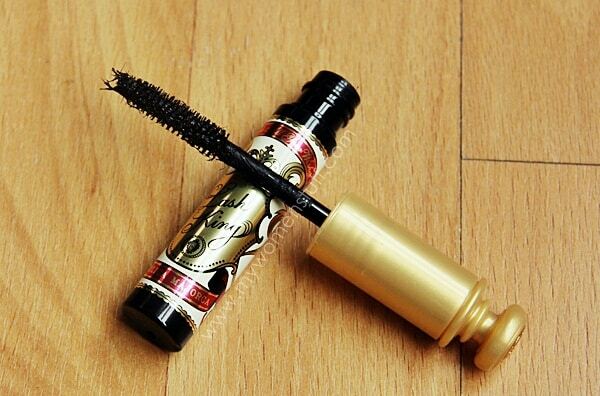 Im currently using benefit mascara which works fine. But im not that keen about mascaras since i like eyeliners and fake eyelashes better. Mostly because cheap mascara tend to go off after a couple of months (im allergic to fumes) and i dont really like curling my eyelashes. You’re lucky to have thick lashes! Some girls I know who have thick and long lashes just curl them to define the eye and with liner, it works well. Saves an extra step! I really do not like this mascara. The difference is not that noticeable (my lashes is thin & straight).